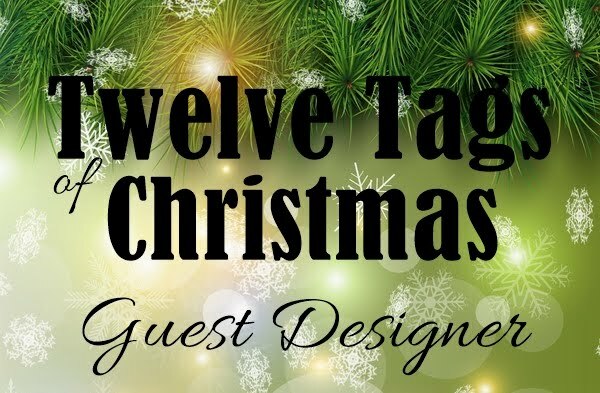 As you can see, I have substituted flowers and foliage for the tag - but it does say, 'any shape' so I hope it will still count! Anywho, here are the pictures. All supplies are listed below the pics. 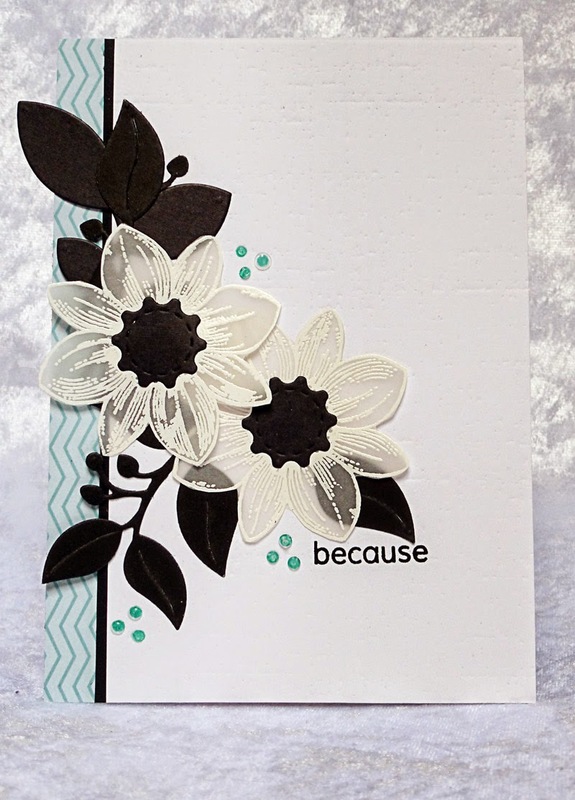 Wow,Hazel this is a stunning card for sure,love the open vellum flowers ,just gorgeous! I think it counts ,why not! beautiful card, Hazel - love the color scheme! 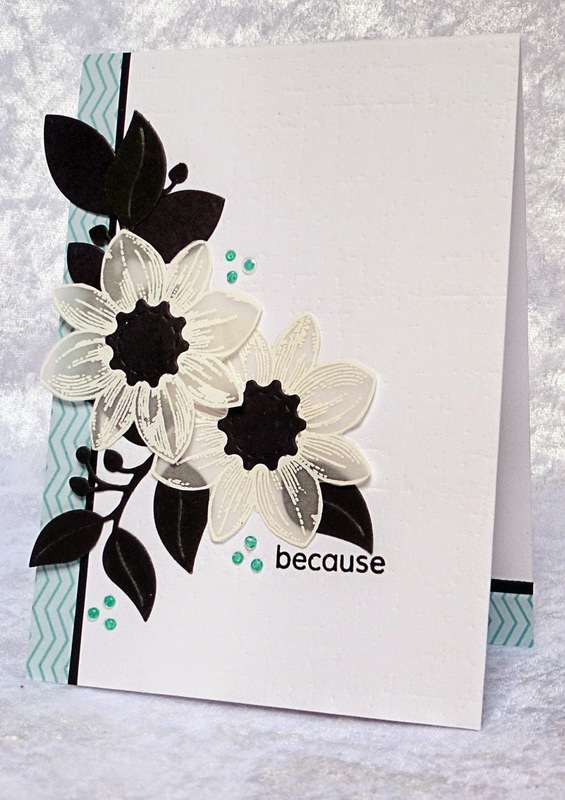 Hazel, your card is just gorgeous, I love the vellum flowers, and placed with black they are WOW. I think it is a stunning take on the sketch. 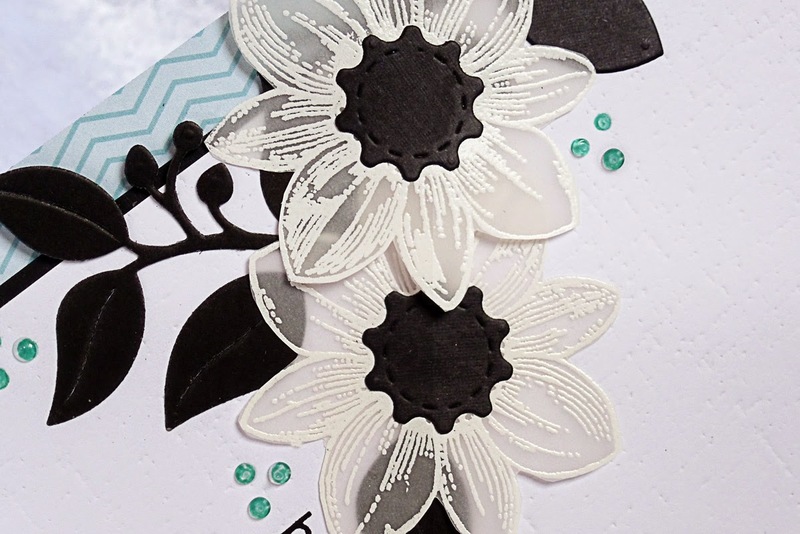 I love the embossed vellum flowers and the way they are growing! 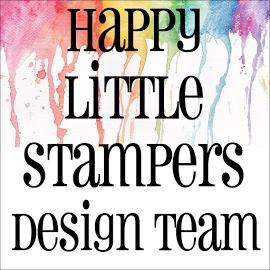 Thank you for joining us at Freshly Made Sketches! Beautiful card! My favorite detail is the vellum flowers. Wow Hazel this is stunning! Vellum flowers, black leaves - could anything be more eye catching? What a wonderful eye for design you have. Thanks for joining us at Freshly Made Sketches! WOW, what a stunning card, Hazel!!! This is simply beautiful!!! Oh, I LOVE those flowers and how you have embossed it on the vellum!!! Oh, I can't stop staring at it - everything is just perfect!!!! The small green dots are placed perfectly and the whole design is perfect in every way!!!! Love everything about this card, Hazel!!!! Hey Hazel, me again. Can i ask you something. I see on the background of this card some kind of texture. 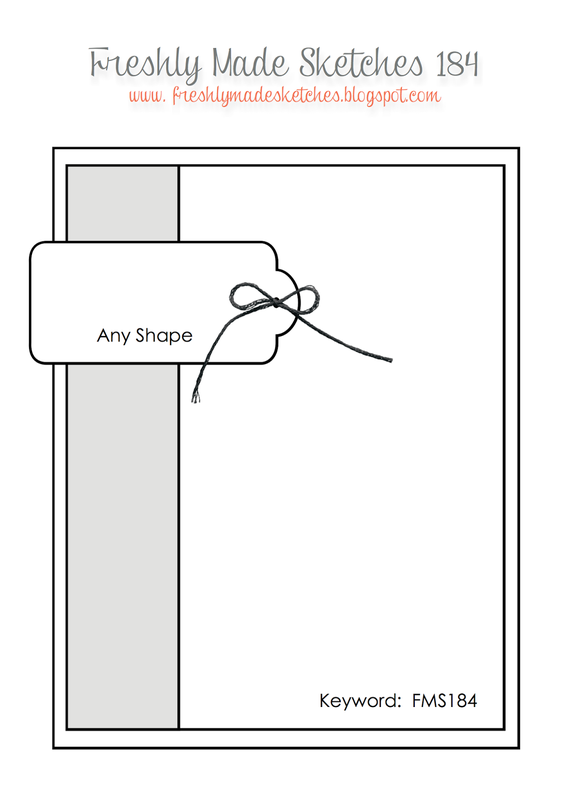 Is it the paper you bought like this ? 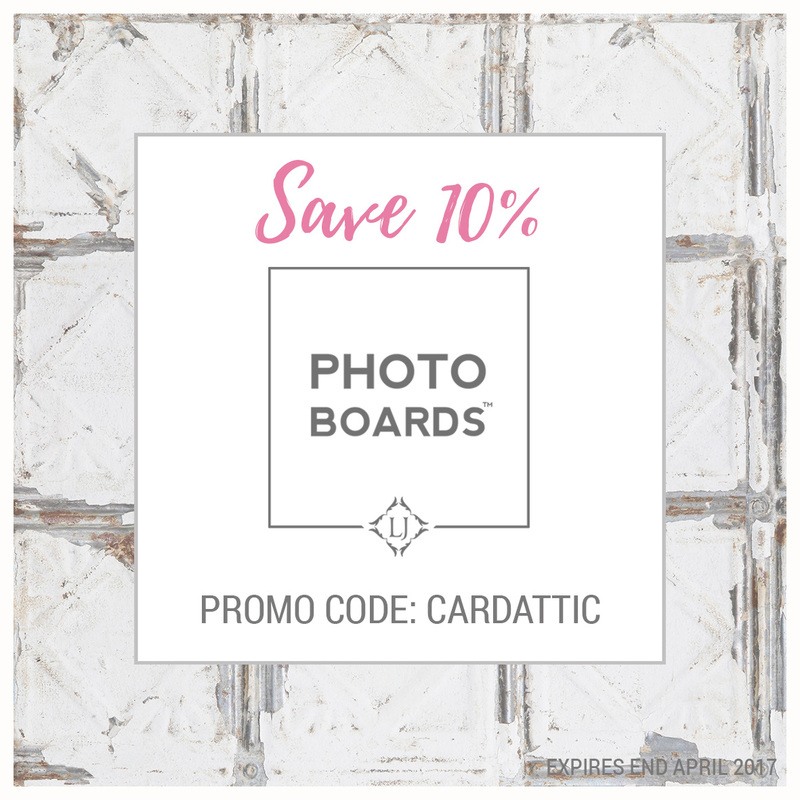 Or did you add this texture yourself ? So amazing Hazel, just love the black against the white of the vellum. And the soft blue is gorgeous!! Love these vellum flowers! 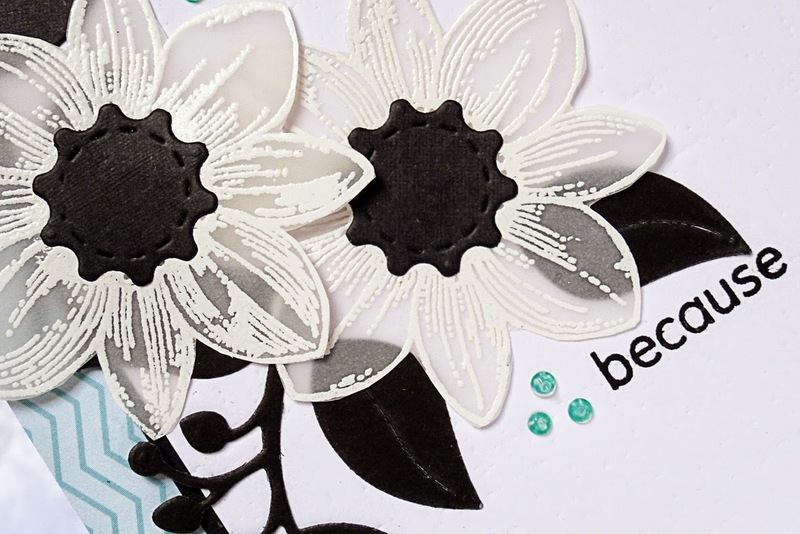 The black centers and leaves make them so striking! And I really like the sweet blue trims! Vellum flowers...they are simply amazing and look stunning on your beautiful card. Absolutely stunning Hazel! 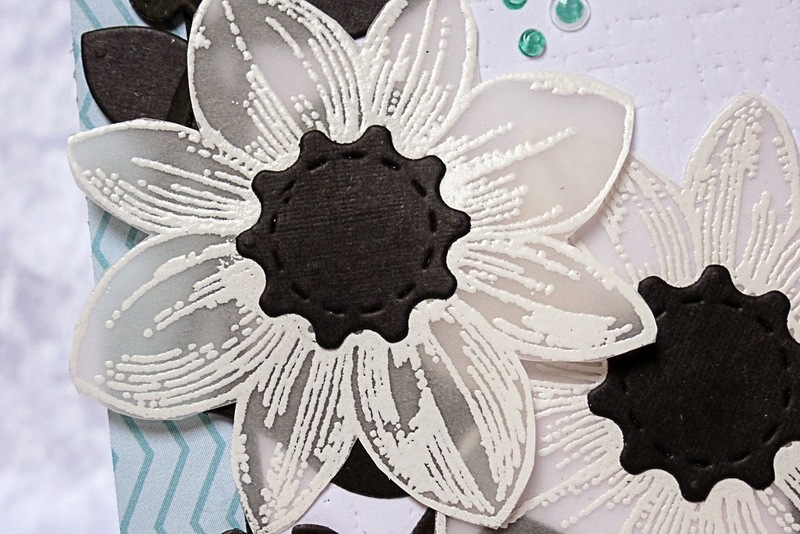 I just adore those embossed vellum flowers and the colours you've used are just amazing! Another fabulous creation!Thanks for joining us at FMS this week!